Lock in a great price for Grand Hotel des Balcons – rated 8.6 by recent guests! loved the hotel specially the location and the breakfast. 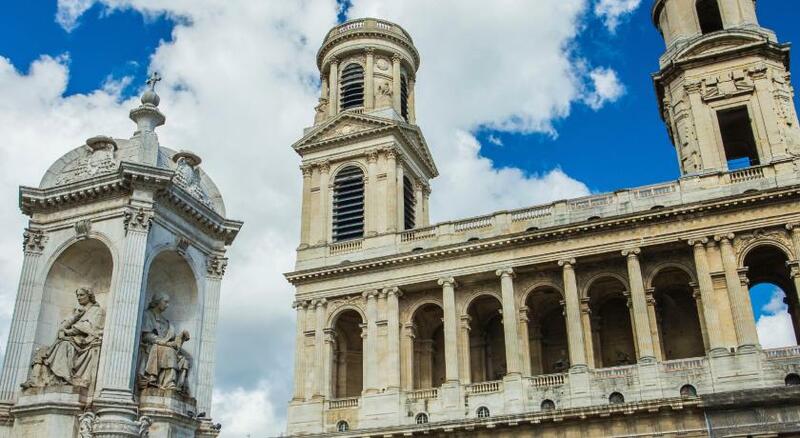 It’s the best value for money in Saint Germain! This was a boutique type hotel. Small and quaint. They had a luggage storage room so we could leave our bags when we arrived early in the morning. The staff spoke English so communicating with them was easy. The room itself was nice and clean. 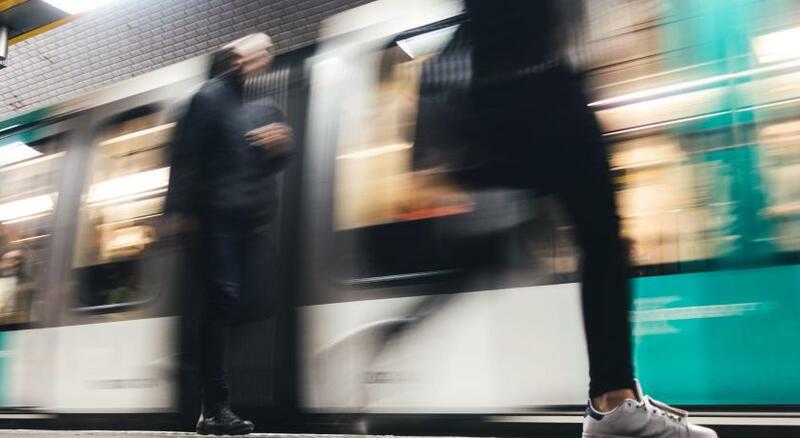 The location was convenient as we could walk to food, shops, taxis and sites. It was a good experience overall. I loved the location! The room was clean. Since I had traveled alone this time, it was secure. The staff friendly. 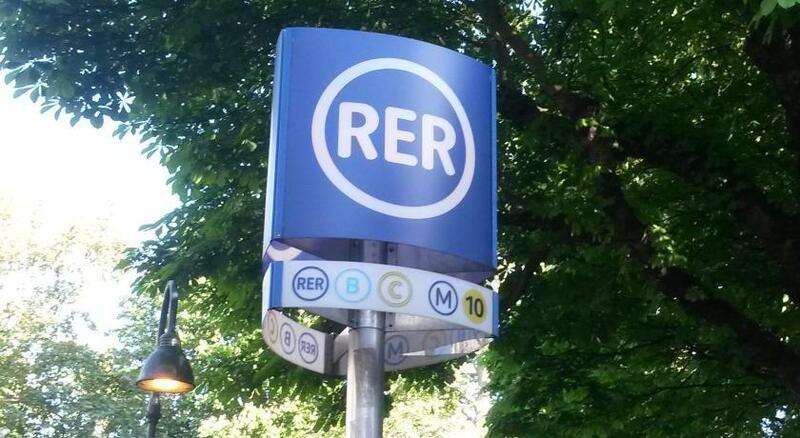 Great location in a short walking distance from an RER station (Jardin du Luxembourg). The staff is very nice and helpful. Breakfast is fresh and tasty and worth the small extra charge. Overall, very good value for money. Comfy bed. Spotless bathroom. Guide book in room. Room ready even though I arrived 2 hours before check in. Able to leave bag in storage after check out. Great staff, good location to sites. Not a large room but we didn't expect that. Clean and quiet. We loved the suite room we had with our family. They set out a fold-away bed for our second child and we still had plenty of room to move around and a nice bathroom with a separate toilet. The balcony was incredible, though the street noise did not allow for us to leave the door open to the balcony at night. The doors did dampen the street noise sufficiently. Wifi was great. They had 2 channels that allowed us to change if one was slow. They also arranged for our transport from the airport and to the train station. Convenient, central location. Facilitated an early check-in. Comfortable bed. Electric shutters. Helpful cleaning staff. The staff was welcoming and helpful. Our rooms were as advertised and close to Luxembourg Gardens. The shuttle from airport, however, was more expensive than an Uber. Good cafes close to hotel. In the chic Saint-Germain district of Paris, Grand Hotel des Balcons is decorated in an Art Nouveau style and has a 24-hour front desk. 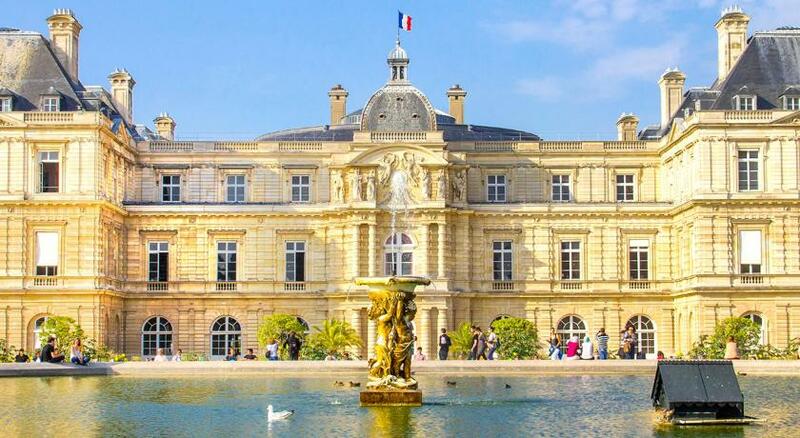 The Luxembourg Gardens are only 650 feet away. All rooms feature a flat-screen TV with cable channels, a wardrobe, telephone and heating. The private bathroom includes a hairdryer and free toiletries. Additional features include luggage storage, a safe and free Wi-Fi access throughout. 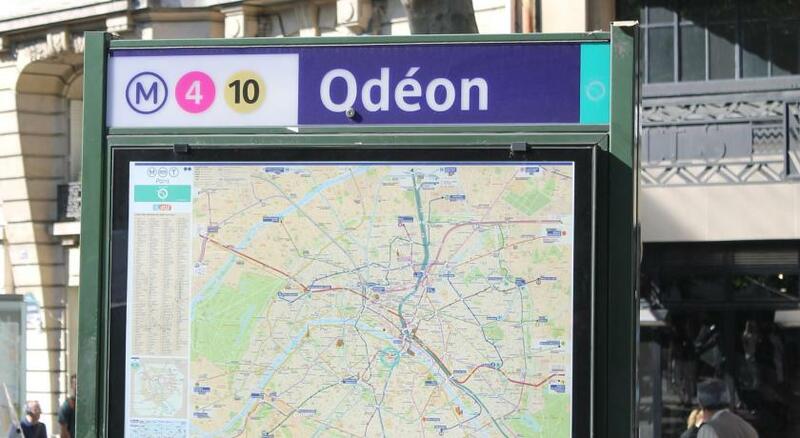 Odéon Metro Station is a 3-minute walk away and has direct access to the Notre Dame and Gare du Nord Train Station. 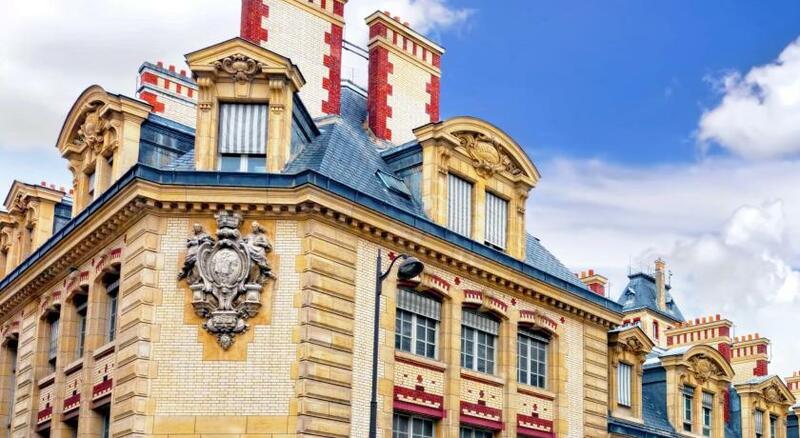 When would you like to stay at Grand Hotel des Balcons? Offering a contemporary décor, this single room features a flat-screen TV with cable channels, a wardrobe, telephone and heating. The private bathroom includes a shower, hairdryer and free toiletries. With a contemporary décor, this double room features a flat-screen TV with cable channels, a wardrobe, telephone and heating. The private bathroom includes a shower, hairdryer and free toiletries. 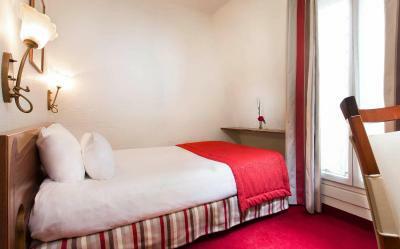 With white walls and colorful curtains, this twin room features a flat-screen TV with cable channels, a wardrobe, telephone and heating. 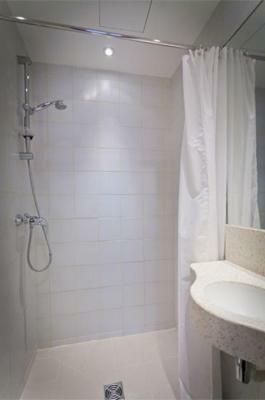 The private bathroom includes a bathtub or shower, hairdryer and free toiletries. This room features a flat-screen TV with cable channels, a wardrobe, telephone and heating. 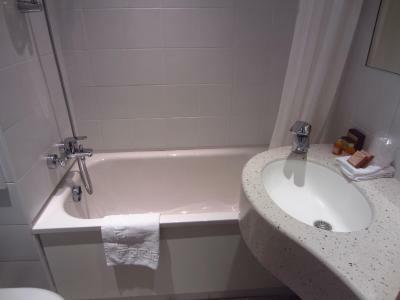 The private bathroom includes a bathtub, hairdryer and free toiletries. House Rules Grand Hotel des Balcons takes special requests – add in the next step! Grand Hotel des Balcons accepts these cards and reserves the right to temporarily hold an amount prior to arrival. Please inform Grand Hotel des Balcons of your expected arrival time in advance. You can use the Special Requests box when booking, or contact the property directly using the contact details in your confirmation. A bit old-fashioned, but very warm, comfortable and cozy! 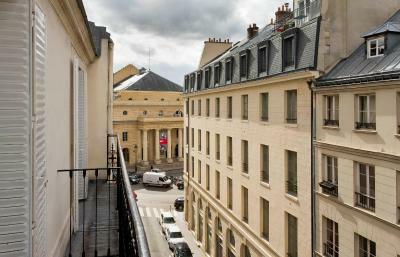 Perfect location - tranquil area right near the Luxembourg garden. I would definitely recommend this hotel to stay in Paris. More of a bb than a hotel, creaking floors; walls were thin. Location was pretty awesome, quaint would have been perfect for just couples. No WiFi in the room The staff said it couldn’t be fixed until the next day. The room was small with very little facilities. The Staff at reception are rude and unfriendly. Even though they are efficient, the can do with better manners and maybe some form of Hospitality training. This Hotel would have been superior was it not for the arrogant staff at reception. The Hotel are located in a very quiet street. Its super modern and extremely clean. The beds are nice and new and the linen excellent. 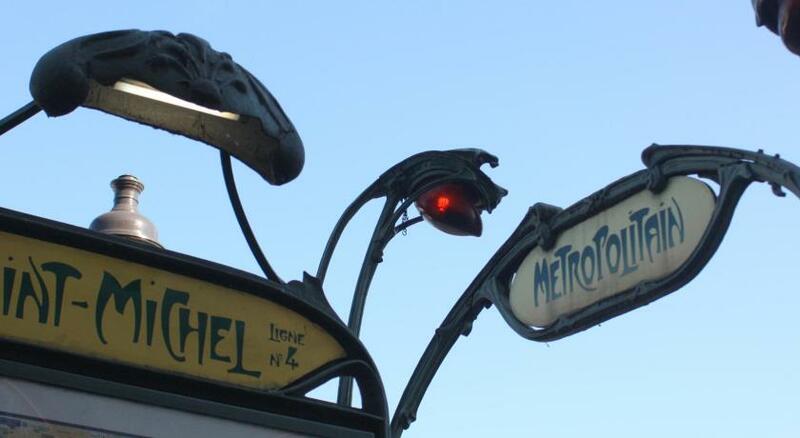 A true little Gem in Paris. 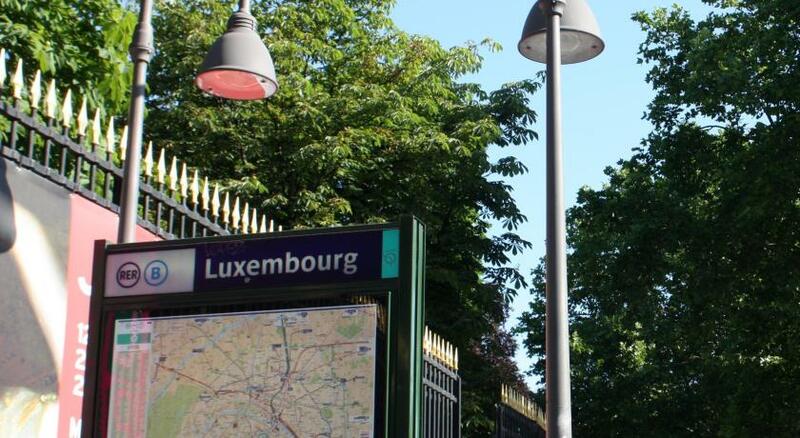 The location was fabulous, just a minute from the Lux Gardens and several metro stations. The view from the balcony was quintessential Paris back street. Although the room was mall it was fine for two who were in Paris to see Paris and not the walls of a hotel room. Great base to see Paris with the ‘hop on hop off bus and near the Luxembourg Palace for a morning jog. Wifi sucked. Mostly didn’t have any reception in my room. Certainly could not rely on it. It was very central and the staff were nice and the hotel was impeccably clean. Location is perfect, clean and neat.